division of Mead & Robbins. W.H. 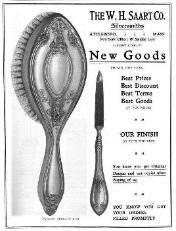 Saart Co. / Saart Bros. Co.
and vanity items. 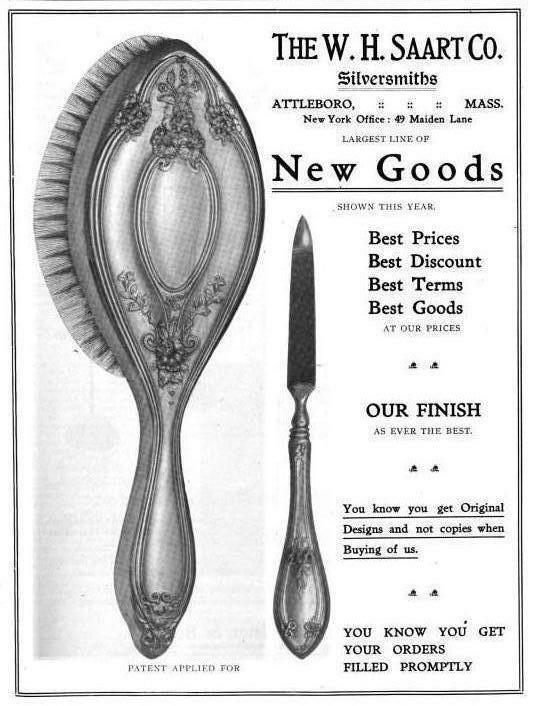 See flatware patterns. Henry Salisbury / Salisbury & Co.
name of H. Salisbury & Co. 1857-1865. Sons from 1837 until his death in 1860. Philip Benjamin Sadtler and his sons George T.
Amos Sanborn / A. Sanborn & Co.
after his death until 1875. Makers of sterling and silverplated holloware and vanity items. Glassware manufacturer; they made sterling goods from 1949 to c. 1960. Was in the partnership of Hull & Sanderson with John Hull 1652-1683.